Tree removal is an unpredictable aspect of Arboriculture which is nothing but the biological study about the cultivation of plants and trees. Tree removal is not an easy task but it requires lots of help from the trained and qualified professionals, if done with unprofessional person then it may cause various problems such as regrowth of the tree again from its trunk which will lead to damage the nearby buildings and some sensitive areas also which leads to some severe accidents. 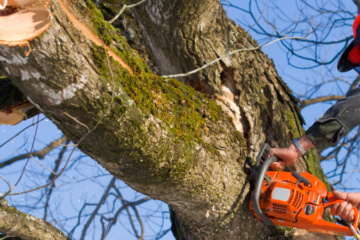 There are large numbers of tree removal/ tree service providers obtainable nearby your area. Some of the leading associations are The Tree Care Association, International Society of Arboriculture, European Arboriculture Council, Davey Tree service, Sesmas Tree Service, Bartlett Tree Experts who will provide you the experts and help in cutting the trees without any damage to your surroundings. Trees are the gift of our nature, but sometimes we need to cut the trees due to certain reasons like some trees grow on the midway of the certain building like a garden, sports fields, hospitals, etc. in such cases the trees must be cut. Another case is a tree overshadowing a place which means it does not allow the natural light to enter the place and makes it dark. The roots of the tree damage the floors, and it creates some cracks in the buildings. Another major reason behind cutting trees is when the tree crosses the power lines and telephone lines and creates a problem in the integrity of the system. Finally, if the tree is about to die and fall over it creates lots of risks, so it must be safely removed by the professionals. There is an alternate solution for the above-mentioned reason, when you feel the tree is about to die, then you can contact the tree service providing associations, and they will help you in saving the tree by providing the necessary support. Saving a tree is saving our nature. There are some organizations conducting programs to plant two trees for every one tree removed. Tree removal technique is an art which starts with a proper assessment of the trees and a next step the tree trimmer plans how to take out the tree safely without creating any damage to objects nearby. If the power lines cross across the tree, then they handle it even more carefully. After the complete planning is done the tree trimmers start their work. First, they climb on the trees and cut away all the major branches then they slowly bring those branches down and then they are removed. In some case, it is necessary to take the top off first in order to reduce the risk of damaging properties. The trunk cannot be removed manually, and it needs some special mechanical equipment to remove it. While cutting the trees you need some tools to make the work simple and easy. The standard tree removal includes taking down the tree, chipping all brush and cutting all woods.